Proposition 11 may have passed, but our fight is not over. The legislature will still need to vote to adopt the measure. 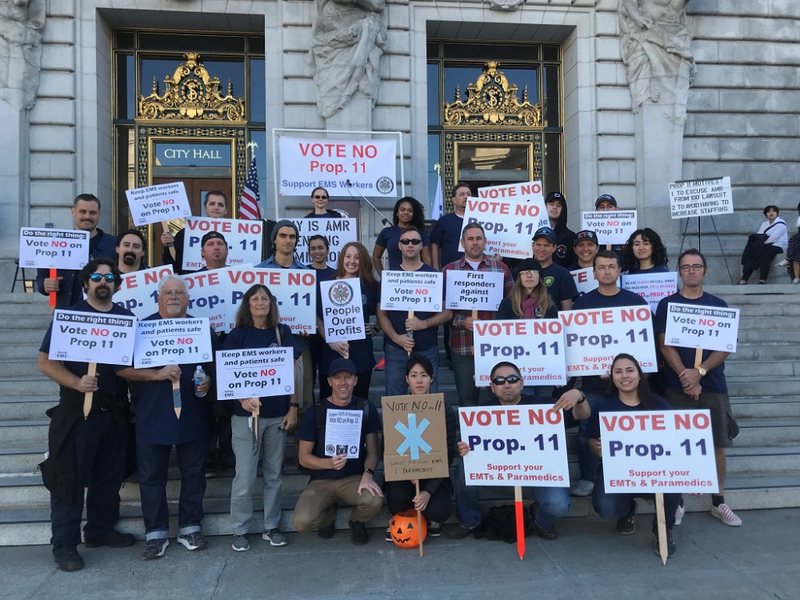 Find your representative by clicking here and ask them to vote NO on Proposition 11. NAGE EMS and the IAEP made a big difference in the areas where they actively campaigned against Proposition 11. San Francisco voters sided 60.45% against the deceitful proposition, and 49.57% voted no in Alameda County. The union can continue to make an impact by asking your community to call their representatives and ask for their support in voting against the proposition.